Originally published in Journal of Creation 14, no 3 (December 2000): 80-82. The acknowledgements at the end were meant in good faith. We simply mentioned the helpful exchanges that had taken place, particularly with Michael Garton who painstakingly explained their viewpoint. We recognise that strong convictions are held on both sides of this debate concerning the biblical texts about the Flood, and the geological mechanisms during the Flood and afterwards. Our aim, as we stated in the closing paragraph was, and still is, to encourage open and courteous debate, particularly on the biblical approach to the Flood. Garner et al. state ‘We did not go into the question of what proportion of the fossiliferous rocks might have resulted from post-Flood catastrophes’. However, we note that they argue for a Carboniferous/Permian (using terms from the geological column, which we do not necessarily accept as a strict chronology) Flood/post-Flood boundary. This implies that a large proportion of the fossil bearing sediments is post-Flood. The Permian rocks and above contain reptiles (in particular dinosaurs), mammals (such as horses, elephants etc.) and birds. Consequently, in their thinking, the air-breathing land animals fossilised in these rocks must be regarded as post-Flood. Thus, though they state that they ‘did not go into the question’, their articles have strong implications concerning the amount of fossils which indeed are post-Flood. Robinson’s article1 is typical of their approach. He interprets the fossils in the higher strata as re-colonisation after the Flood. The number of such fossils is considerable. As we acknowledged in a separate letter, our original article contained a mistake and gave a wrong impression. The wording concerning dinosaur tracks should have read ‘vertebrate tracks’, since the tracks of dinosaurs are only found in the Mesozoic. Also, we accept that Garton’s reference4 to trapped creatures in the Carboniferous was to amphibians, and not dinosaurs as we incorrectly said in our last communication. However, the thrust of our argument remains unaltered, that the Cretaceous burial of the dinosaurs was a Flood event. We simply extend Garton’s4 model of trapped creatures in Carboniferous floating forests. We maintain that it is also plausible for land based dinosaurs to have been trapped in floating forests, and eventually buried late in the Flood. We thank Garner et al. for correcting the detail here. Chalk, though it may include shell fragments, is predominantly composed of coccoliths from planktonic algae, forming fine-grained limestone. This point is worth unfolding a bit more. Tyler5 argues that the chalk deposits in the upper Cretaceous must be post-Flood because they contain hardgrounds, burrows and bentonite horizons. He maintains that these features would require a relatively placid environment,6 and argues that there were successive inundations for decades after the Flood, separated by bentonite ash deposition. The weakness in this argument is the thickness of the chalk layers. Where could all the algae and carbonate come from, particularly in those areas where some 100 bentonite horizons are found?7 The great thickness suggests prolific algae production in warm pre-Flood seas. Their answer is to lengthen the formation time for these layers from days (advocated by Snelling8) to months and years, with ongoing inundations deep into the hearts of continents. This conflicts with a straightforward understanding of the Flood being a singular event, not to be repeated. The Mesozoic strata are nearly all found globally, which suggests that they are indeed from the one global inundation—the Flood. ‘And I will remember my covenant, which is between me and you and every living creature of all flesh; and the waters shall no more become a flood to destroy all flesh. And the bow shall be in the cloud; and I will look upon it, that I may remember the everlasting covenant between God and every living creature of all flesh that is upon the earth’. If this promise allows for continental inundations—not just once, but repeatedly—then it gives very little security to the ordinary descendant of Noah, or to all the creatures! The hydrodynamics of such a scenario imply upheaval, which would be felt across the globe. It is difficult to conceive how half a continent could be flooded without considerable global instability. The advancing warm seas of the rising floodwaters, full of nutrient and much richer than the cool, post-Flood seas, would have produced plenty of blooms of planktonic algae. Tyler acknowledges that small fish and shells are often found together in these upper Cretaceous chalk deposits10 indicating rapid burial and fossilisation in situ. It is possible, as Snelling8 suggests, that these inundations occurred during the final stages of the transgressive part of the Flood, and that the burrows were made over days, not years. The bentonites thus represent repeated sub-aerial ash falls, as successive sediments inundated the ground until it finally succumbed to the rising floodwaters. There may yet be other solutions to this difficult puzzle. It is significant that hard ground burrows are also evident much lower in the Palaeozoic. This suggests that we do not yet understand the mechanisms that formed hardgrounds. It is in our view premature to regard the post-Flood theory as the only alternative. Garner et al. say they do not believe that only 350 years separate the Flood from the end of the dinosaurs. As their re-colonisation theory has developed, one can understand why, in the face of the proliferation of Mesozoic and Cainozoic creatures buried all over the globe, they claim this is too short a time. But then they are faced with waters inundating continents into Abraham’s time and beyond! This really is the Achilles heel of their argument. The evolutionists accept that the dinosaurs (and many other creatures in the Cretaceous) suddenly disappeared, though on a millions-of-years time scale. For creationists, the Flood is the biblical answer. We recognise here a major apologetic for the Scriptures. The rocks witness to a Flood that destroyed vast numbers of creatures, both in the initial extremely violent 40 days, and as the final stages of the floodwaters engulfed the larger creatures. In this respect, the original Flood model of Whitcomb and Morris is still very plausible. We can accept that some creatures descended from Ark stock died in post-Flood disasters. However, to argue for large scale fossilisation by floods and/or other catastrophic activity way into the times of the patriarchs could never be acceptable biblically. Are they advocating large gaps in the genealogies to accommodate more time? This point has to be faced head-on. Certainly Robinson believes that there are considerable gaps.11 We would argue against this, and that taking a Scripture-first approach leaves little doubt that those genealogies are a tight chronology, particularly as the names are repeated three times in Scripture ( Genesis 11 , 1 Chronicles 1 and Luke 3 ), and as the time the father lived after the birth of the son is given ( Genesis 11 ).12 We have already argued that the Rainbow promise precludes any continental inundation after the Flood year. The world was a relatively settled environment within a generation after the Flood, so that by Abraham’s time all major global activity would have long ceased. Although Robinson’s exegesis of ‘machah’ may not be the key reason for espousing their Flood model, they have to face the biblical implications of their position. 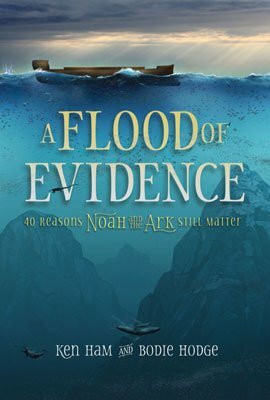 One can rightly ask, ‘So what happened to all the air-breathing, land creatures buried in the Flood?’ This has led to the proposal by Robinson13 and supported by the rest of the group,14 that ‘machah’ (translated ‘destroy’ in Genesis 6:7 and other places) means ‘blot out without trace’. Their admission that the biblical exegesis is not the key reason for espousing their Flood model, shows the weakness of their thinking. Their science is driving their interpretation of Scripture, and not the other way round. From this unproven (and in our opinion false) premise, they construct a model that owes more to a desired allegiance to the geological column than to Scripture. In fact their model runs into conflict with post-Flood Scriptural chronology and timescales. This has been taken by some to justify a splitting of the earth, and continental drift. Garner et al. acknowledge that some of them were of that view, but that Robinson has distanced himself from it.16 We are happy to stand corrected as to their view on this passage. By moving away from this interpretation, they now have very little Scriptural warrant to justify enormous post-Flood activity. At best they must argue that Scripture is silent, but we maintain that the Rainbow promise will not allow the level of catastrophe that they propose. Garner et al. state ‘we remain convinced that Genesis preserves a trustworthy historical record of a global Flood’. While these are good words, they must spell out their model in much more detail. Do they believe in a tight chronology after the Flood (approximately 350 years to Abraham)? Where did all their post-Flood sediments come from? Where is their apologetic for the Flood itself? What of the Rainbow promise? From our perspective, the fossil record into the Cretaceous and further, testifies strongly to God’s act of judgment on this world. The fossil record powerfully argues the authority of Scripture, God’s righteousness, and to the fact that God’s judgments leave a mark, in exactly the same way that the Dead Sea reminds us today of God’s judgment upon Sodom and Gomorrah. 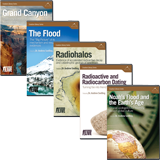 Robinson, S.J., Can Flood geology explain the fossil record? CEN Tech. J. 10(1):32–69, 1996, see p. 62. Garner, P., Geology and the Flood, Genesis Agendum Occasional Paper 1997, p. 8, 1st column, 2nd paragraph, ‘. . . this leads to the re-inundation of some continental areas after the Flood …’. Garner, Ref. 2, p. 8. Garton, M., The pattern of fossil tracks in the fossil record, CEN Tech. J. 10(1):82–100, 1996, see pp. 97 and 98. Tyler, D., A post-Flood solution to the chalk problem, CEN Tech. J. 10(1):113, 1996. Tyler, Ref. 5, pp. 110–111. Tyler, Ref. 5, p. 112. Snelling, A.A., Can Flood geology explain thick chalk layers? CEN Tech. J. 8(1):11–15, 1994. Garner, Ref. 2, p. 8, 4th line from bottom of 1st column. Tyler, Ref. 5, p. 108. Robinson, S.J., Genealogy is not chronology, Origins, (Biblical Creation Society), 26:15–21, 1999. Sarfati, J., Review of The Genesis Question by Hugh Ross, CEN Tech. J. 13(2):22–30, 1999. Robinson, S.J., The Flood in Genesis: What does the text tell geologists? in: Walsh, R.E. (ed. ), Proceedings of 4th International Conference on Creationism, Pittsburgh, USA, pp. 465–474, 1998. See for instance Garner, Ref. 2, p. 6, 1st column, last line to end of first paragraph in 2nd column. Garner, relying on a ‘blot-out’ interpretation of ‘machah’, states ‘No trace of land dwelling air breathers—not even in fossil form—was left’. McIntosh, A., Edmondson, T. and Taylor, S., Genesis and catastrophe: the Flood as the major biblical cataclysm, CEN Tech. J. 14(1):101–109, 2000, see p. 106.